With the iPad mini 4 several years out of date, it was inevitable that Apple would either update or kill off the diminutive tablet. 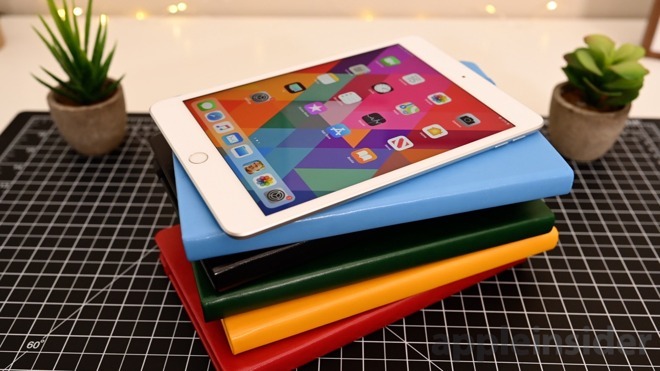 The former turned out to be true as Apple beefed up the specs of the popular iPad. 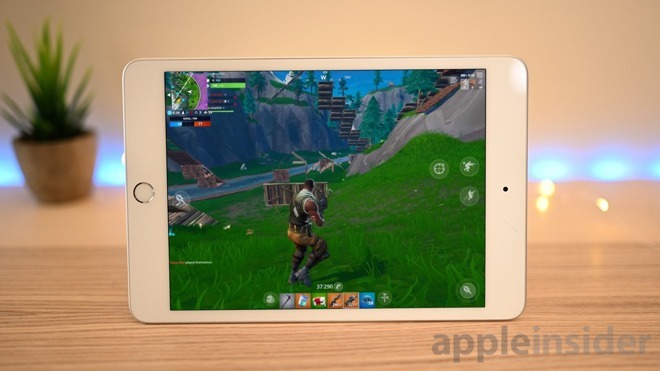 AppleInsider has spent some serious time with the new mini, and while the target audience is smaller than it used to be, there is still a case for new iPad mini. We wouldn't hold it against you if just by looking at the new iPad you were unable to distinguish it from its predecessor. 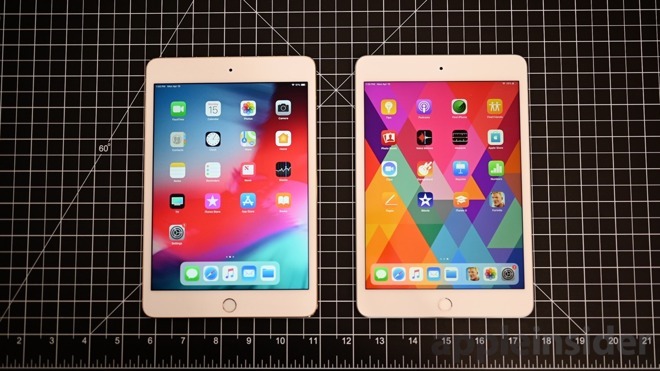 Both the fourth-generation iPad mini and the fifth-generation have starkly similar appearances. Both feature a Home button with Touch ID used for authentication. Both have rather large bezels surrounding the frame that look more substantial in 2019 than they did when the fourth-gen debuted. Along the right side are a pair of volume controls and the sleep/wake button still resides along the top right corner. The mini also retains the Lightning port instead of going with USB-C as the Pro line did. Turning the device over you will find the sole exterior difference between the two models —the pinhole-sized microphone ports. The dual mics were relocated from the left and right of the camera to the top-center of the back and the center of the top edge. it is a minor difference but it does cause issues with cases designed for the fourth generation iPad mini. The physical sizes of the tablets are the same, but older cases will block those two mics which is important to consider. The display retains the same high resolution as before, 2,048 x 1,536 resolution at 326 pixels per inch, but it now supports the P3 wide color gamut and integrates True Tone technology. True Tone helps they display appear more natural in a variety of lighting situations and the wide color gamut helps colors pop more than ever. Side-by-side with an OLED iPhone display, the blacks on the mini aren't quite as deep, but few would scoff at such a minor discrepancy and this is expected with the iPad line. For what it's worth, this would fall under the category of nitpicking. There is also support for the original Apple Pencil, and impressive brightness of 500 nits, which helps for outside reading. The biggest changes Apple has put forth for the new mini, are inside. There is now the extremely capable Apple-designed A12 Bionic processor powering this tablet. This is the same chip used on the latest iPhones. It isn't quite as powerful as the A12X Bionic processor found on the iPad Pros, but it is more than enough for this tablet. You are likely to be limited first by the screen size rather than the processor. In our mandate to push the processor, we wanted to see how smooth it was to edit a film in LumaFusion but found ourselves more hung up on the limited display real estate than any speed deficits. The processor wasn't our bottleneck, the small size was. If you truly wanted to edit more often or longer films, you would probably be more comfortable with the iPad Pro line. That said, if you ware looking to edit a few videos, casually, you will be able to do so without a hiccup. For standardized testing, we ran both the Antutu and Geekbench 4 benchmark tests. 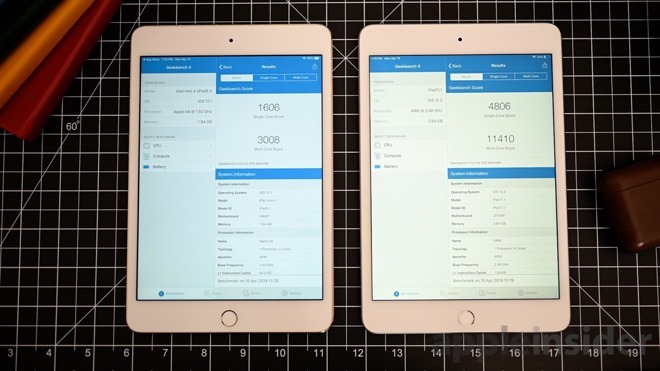 On Geekbench, the new iPad mini earned 4806 and 1140 on the single and multi-core tests. That is a huge boost over the 1606 and 3008 the iPad mini 4 pulled in. On the Antutu test, the fifth-gen again blew away the previous. 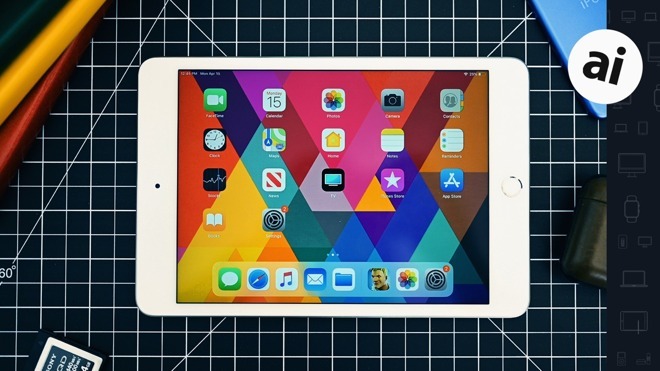 The 2019 iPad mini garnered a 369959 while the previous earned 90377. This is no surprise and we saw the fourth gen stuttering and dropped frame frequently during the GPU test. The new iPad mini is almost too powerful. It packs so much performance into the small body that few people will likely take advantage of. Running apps side-by-side is possible though almost silly at the size they are. The real potential of the mini is with games. Apple will soon be launching Apple Arcade, and we can see this as an excellent path for the iPad mini. We played Fortnite, Alto's Adventure, and much more on our mini and loved the mix of screen size and power. Our normal alternatives for mobile gaming would be our iPhone —which packs a smaller display, our Nintendo Switch —which has poor controllers and a subpar display, or our larger 12.9-inch iPad Pro —a far less portable option. This puts the mini right in the mix. It is easy enough to take with you and even slip into pockets or small bags. But it is also powerful, easily crushing Fornite at 60 fps. Apple Arcade will bring even more games to iOS and the iPad mini will be a great home to them. Connect and external MFi controller and you have an even better gaming setup. There are many other use cases for the mini as well in 2019. Kids who aren't yet old enough for an iPhone can still have their own, cheaper, dedicated iOS device. Hospitals and medical institutions have a great portable tablet to take room to room. Anyone who loves to read on their tablet will enjoy the mini, which is so lightweight you experience little-to-no fatigue after long reading sessions. Retail is also a home to the iPad mini, though more often for smaller businesses. During the JAMF National User Conference last year, AppleInsider spoke to high-end outlets like Rituals that was turning to iPhone over iPad mini for handheld POS systems. Using an iPhone meant they could rely on cellular service rather than shoddy Wi-Fi coverage. That still leaves smaller retail organizations who don't want the expenditure of iPhones turning to the smaller tablet instead. Apple's own retail is often seen using the small iPad. Apple also takes the target audience into consideration here. Any business organization or even a child who ends up with the iPad, is likely not going to worry about things like wireless headphones when necessary and prefer the physical headphone jack that lived on another year in the mini. With larger iPhones such as the XS Max, the market for a smaller tablet has shrunk since we saw the fourth generation, but it is clear there is still a market for the small tablet. It's apparently large enough to refresh the iPad mini, but not big enough to have done so for the last few years. Coming in as Apple's cheapest tablet —other than last year's iPad —it is clear there will be compromises made in terms of features compared to Apple's other tablets. For example, iPad mini 5 supports Apple Pencil, but like the new iPad Air, it only supports the first generation model and must be charged using the Lightning port. Speaking of Lightning we also see the Lightning port stick around on the mini rather than USB-C. Even in the box, Apple includes a slower charger brick and no Fast Charger. Other compromises include the fact the bezels are still large, there is no Face ID, and there are no huge improvements to the camera. Most people are going to be perfectly fine passing on all these features. Apple focused on the mini where it mattered —performance —and that's exactly what we got. 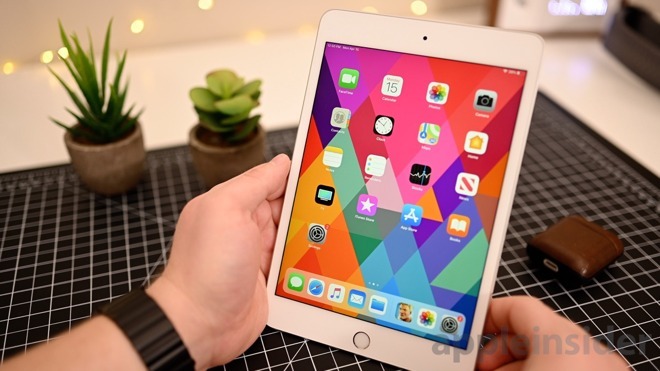 Apple authorized resellers, such as Amazon and B&H Photo, are currently knocking up to $10 off new iPad mini 5 models. For a full list of deals and product availability, be sure to check out our iPad mini Price Guide.